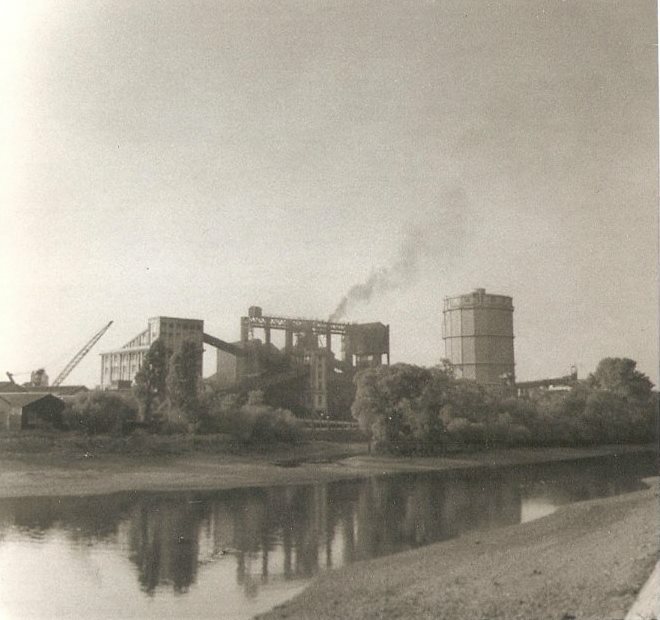 Don Harris's sister provided this peaceful mid 1950s view of Brentford Gas Works, taken from the tow path on the south side of the Thames outside Kew Gardens. The island in the Thames is Brentford Ait. If you search for 'gas' on the home page you will find photos of employees at 'dos', maps showing the extent of the works in the 1830s and 1890s, and other gas works snippets. Brentford Past, Gillian Clegg 2002, includes a photo showing the gasworks demolition underway, 1965 and notes that the gasworks closed in 1963 following the introduction of natural gas; Watermans Park and Art Centre occupy the site.